Portugal was founded in 1143, year of the Zamora’s Treaty signing. The treaty, agreed upon by D. Afonso Henriques, the first King of Portugal, and Alphonse the VII of León and Castile, recognized Portugal as an independent kingdom. In 1179 that status was confirmed by Pope Alexander the III. During the 12th and 13th Centuries, the Portuguese Kings extended the borders, until conquering the Algarve, consolidating a territory almost unchanged until today. With its borders defined, Portugal started to look inside itself. At the end of the 13th Century, King D. Dinis founded the prestigious University of Coimbra, one of the oldest in Europe. In the most important centers, castles, palaces and cathedrals were built as the territorial administration cemented. In 1385, following a popular movement, D. João I was acclaimed king, thus beginning the 2nd dynasty. The sons of D. João I and D. Filipa de Lencastre would be praised by Luiz Vaz de Camões ("Os Lusíadas") as a noble generation of great princes ("Ínclita geração, altos Infantes"), for their humanism, education and governing skills. Amongst them, one was to be known by History as the visionary and leader who made possible one of humanity’s greatest adventures: the Discoveries. Thanks to the impetus of Infant D. Henrique, also known as Henri the Navigator, the Portuguese caravels crossed the seas, putting to use the best scientifically and practical knowledge of those days. During the 14th, 15th and 16th centuries they navigated to Africa, the Far East and the heart of the South American continent. They conquered lands, hoarded wealth and brought to Europe things never seen before. In 1498 Vasco da Gama discovered the maritime route to India and in 1500 Pedro Álvares Cabral arrived in Brasil. The Portuguese would still reach Oman (1508), Malasia (1511), Timor (1512), China (1513) and Japan (1543). It was also a Portuguese, Fernão de Magalhães (sometimes referred to as Magellan), who planned and commanded, between 1519 and 1522, the first circumnavigation of the Globe. This might have been the beginning of the globalization. To celebrate this era, particularly the arrival in India, King D. Manuel had the Jeronimos Monastery built (a singular building in which nautical motives are very present) and inserted the armillary sphere in the Portuguese flag. The small kingdom was then the largest Empire in the world. Portugal brought together wise men and mercenaries, scientists and painters, businessmen and poets, slaves and princes. Such power and wealth awoke the jealousy of other peoples and after the tragic death of the young King D. Sebastião, in a battle at Alcácer Quibir, in the North of Africa, the resultant vacant throne was occupied by Spanish Kings, who united the two states under the same government for 60 years. In 1640 Portugal had once again a Portuguese King, D. João IV, who restored the country’s independence. In the 18th Century art-lover, absolutist King D. João V ordered the construction, in Mafra, of a giant Convent and palace and, in Lisbon, the Aqueduct of Águas Livres. However, the luxurious and exotic capital of the kingdom almost completely vanished in 1755 due to a devastating earthquake. It was Marquês de Pombal, Prime Minister of King D. José, who recreated a new Lisbon, monumental and ready to take on the furies of nature. In the early 19th Century, Napoleon's troops invaded Portugal and the court moved to Brazil, in order to ensure the Portuguese dynastical continuity and independence. 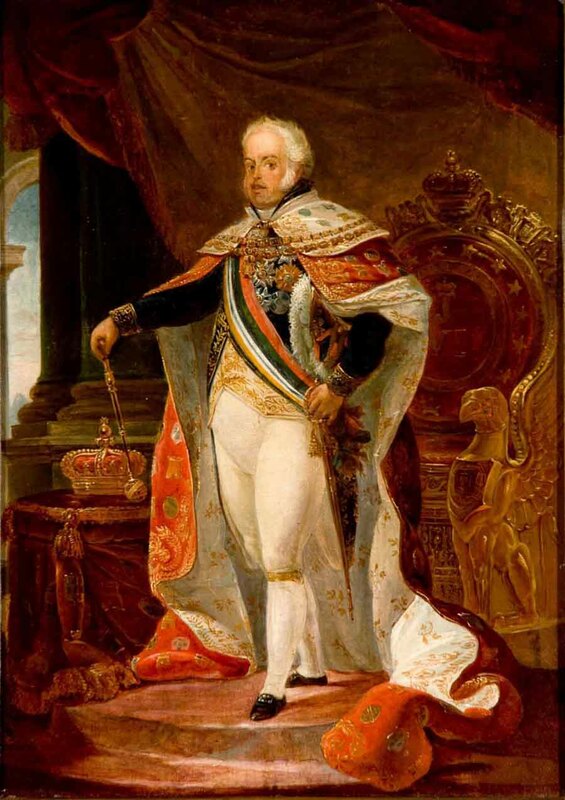 Returning 14 years later, in 1821, King João VI found a different country: besides the scars of years of war, the liberal movement had transformed the political landscape. The king’s power was no longer absolute and the first Constitution was close to being approved. After D. João VI’s death, civil war broke out (1828) between his two sons: D. Miguel, supported by the courts, who opposed the Constitution, and D. Pedro, who defended it, along a liberal vision of the State, but was legally prevented from taking the Portuguese crown as he had declared Brazil’s independence 6 years earlier. The quarrel would be settled in 1834 with the signing of the “Convenção de Évora Monte” that put an end to military operations and determined a return to a liberal and constitutional version of the monarchy. Republican ideas started gaining ground and momentum from the end of the 19th century onwards. After the King’s assassination in 1908 and the revolution of October 5th, 1910, a Republic was established. D. Manuel II was the last King of Portugal and Teófilo Braga the first republican Head of State. Manuel de Arriaga was the first elected President of the Portuguese Republic. After a troubled period and the Portuguese participation at the First World War, a military coup caused the “Estado Novo” to emerge. This was an authoritarian, one party regime dominated by António Oliveira Salazar, who governed the country for almost half a century. However, on 25 April 1974 the «Carnation Revolution» returned freedom and democracy to the Portuguese, swiftly recognizing the independence of the former African colonies. Once again inside its original borders, Portugal turned round and faced Europe. In 1986 the country joined the CEE and, since then, the Portuguese have been enthusiastic participants in the construction of a new Europe, without however forgetting their History, their character and their traditions.